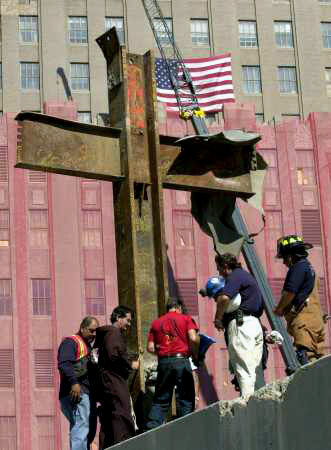 Of all of the miracles that occurred at Ground Zero, one of the most inspiring was that of the Ground Zero Crosses. 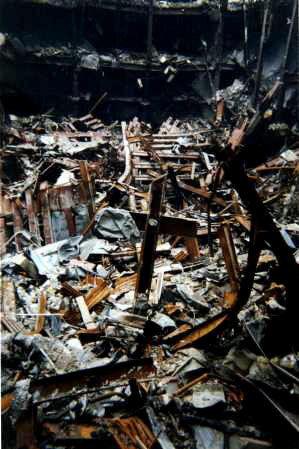 On September 13, 2001, Frank Silecchia, a construction worker and devout Christian, found several crosses standing upright amid rubble in Building 6 of the World Trade Center. "When I first saw it, it took my heart, and made me cry for about 20 minutes," Silecchia says. "It helped me heal the burden of my despair, and gave me closure on the whole catastrophe." The crosses were made from large metal beams, and were symmetrical and spectacular. Carl Bassett, an FBI chaplain, said: "People have a very emotional reaction when they see it. They are amazed to see something like that in all the disarray. There's no symmetry to anything down there, except the crosses." Immediately, word spread about the crosses, and our heroes gathered to pray at them. A hero firefighter who lost his son on 911 came to the crosses to pray. A hero police officer who lost a friend on 911 came to the crosses to pray. One hero firefighter pointed to the crosses and said, "There's my angel." 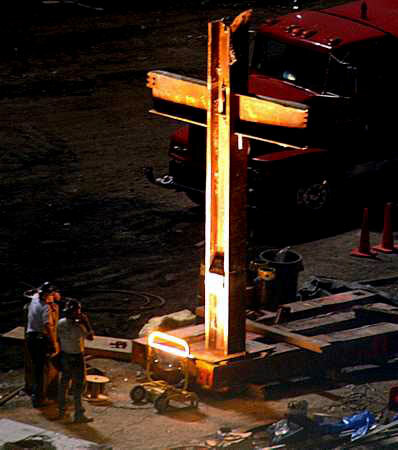 One of the crosses was later moved out to the middle of Ground Zero for the world to see, and stood as a source of faith, hope, and comfort during the work at Ground Zero. Below are some pictures of the miracle, along with our heroes at prayer. God bless our 911 angels. 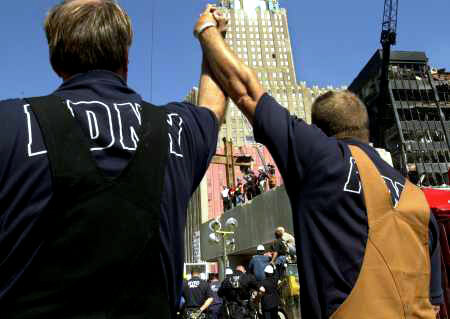 And God bless our 911 survivors.